Jim was born and raised in Charleston and graduated from James Island High School. He attended the College of Charleston for two years, before moving to Missouri. In 1993, Jim became a police officer with the Marceline Police Department, in northern Missouri. After four years he was promoted to Sergeant, assisting the Chief and Lieutenant with supervising other officers, training and investigations. He served for a total of ten years, attending college full-time as well, graduating with dual degrees in Criminal Justice and Ethics. Jim attended the University of Missouri at Kansas City School of Law and did an internship with the Jackson County Public Defender’s Office. He was offered a job with them, but declined in order to move back home to Charleston. 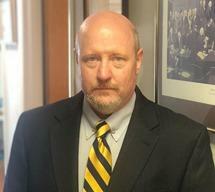 Since being back in South Carolina, he has worked in both the Beaufort County and Berkeley County solicitor’s offices. He also has worked as the DUI 1st prosecutor for the Highway Patrol. Jim has tried several dozen cases, including domestic violence and attempted murder cases, and has a winning track record. He is well versed in traffic and DUI law, and is enthusiastic about helping his clients. He has more than a decade of legal experience and is eager to help you.